I was born Wednesday, August 28, 1985. On September 14, 1985 I attended my first football game. I was seventeen days old. My dad was a football and baseball coach most of my life. I loved it. I loved having my birthday parties at the game on Friday night followed by a slumber party at my house. I loved getting to the crosstown rivalry game at 1 pm to get a seat on the front row. I loved the pep rallies and the homecoming parades. In my West Texas town, football season was like a four-month-long Christmas, with all the spirit and decorations and hugging. I loved it so much I even married a high school football coach (unintentionally, as he was a business major in college) whose dad and two brothers are also football coaches. Football runs deep in this family. But despite the love I have for the game, I will not let my son play youth tackle football. If you’ve read any articles about the NFL the last few years or seen Will Smith’s movie Concussion, you know the discourse currently surrounding football regarding CTE, the degenerative brain disease associated with recurring blows to the head. The recent research has put the NFL in the hot seat, scrambling to make the game safer much to the chagrin of football traditionalists. Sure, this is horrifying, but the fact is the majority of us will never produce an NFL player. We will never have to decide whether football is worth the risk at that level. But we all get to choose if they play when they’re 9. The study, which was published on ESPN.com, evaluated 42 retired NFL players between the ages of 40-69. They had two groups: a group who HAD played football prior to age 12 and a group who had not. Of the two groups, the men who HAD played youth football scored “significantly worse” on three measures: memory loss, executive function, and verbal IQ. Beyond just the science, my personal experiences have discouraged the early introduction of contact football. I’ve watched my father, a former college quarterback who suffered five concussions during his career, struggle with symptoms that closely mirror those of CTE. I also married into a family of two Division 1 football players, neither of whom played tackle football until seventh grade because their dad (a coach with four state championships under his belt) didn’t believe it offered an advantage. This is apparently true of most coaches. I asked 57 middle school, high school, and college football coaches if they would allow their sons to play tackle football before 7th grade. Of those 57, 41 said they would not. And of the 16 who said they would, many included caveats (not until 5th or 6th grade, not unless I knew the coach, only if I knew they were being taught how to tackle correctly, etc.). Thankfully, there are better, safer alternatives to learning the game such as flag football leagues, 7 on 7 leagues, private lessons, and youth football camps. I love football. And I desperately believe in the power of sports. I will never devalue the camaraderie, confidence, integrity, and work ethic it builds. I also believe in giving kids long leashes, letting them scrape their knees and even breaking a bone or two. That’s how we learn and grow. But when we are able to see life-altering consequences our children can’t, when it’s their future we’re playing with, we have a responsibility to advocate for them. And because of that, my husband and I agree that youth tackle football offers no benefits worth the risk. And until my son gets to seventh grade, I’ll just be over here praying he falls in love with swimming or playing the trumpet. 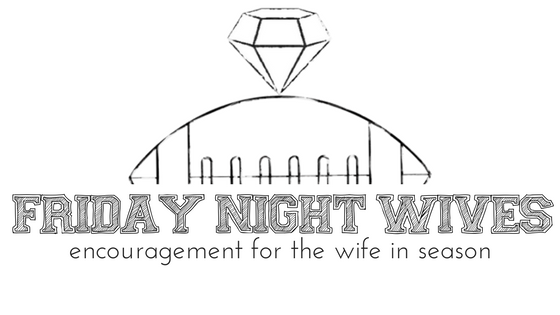 Jordan acts as editor and founder of Friday Night Wives, which means she sits on her couch in her pajamas a lot. 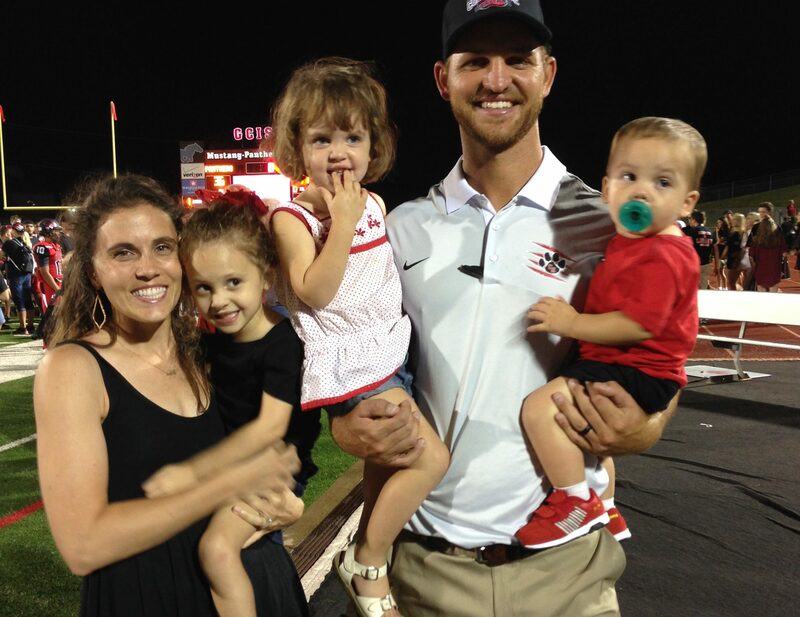 She accidentally became a coach’s wife when her husband switched careers while she was pregnant with their second child, and the roller coaster hasn’t stopped rolling since. Her favorite things include her husband and three munchkins, chocolate, worship music, and Amazon Prime. And, of course, this lovely spot on the internet.